Controlled environment studies will be required to determine specifically how temperature and moisture affect several key stages in the lifecycle of the sclerotinia stem rot. 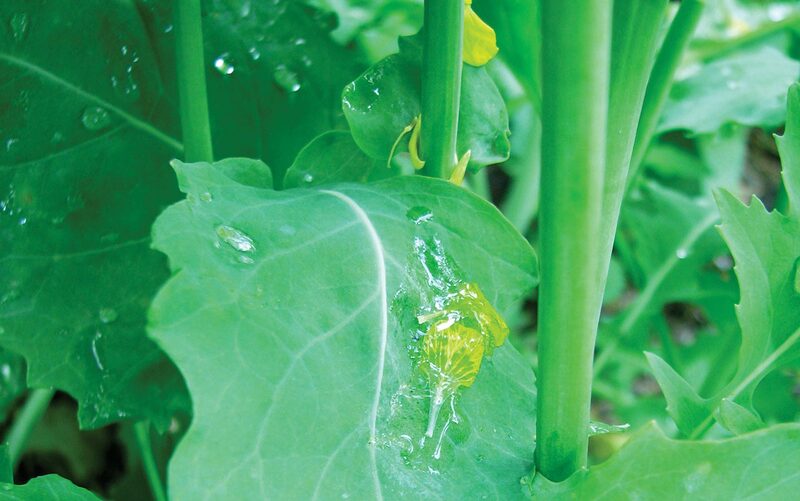 Weather conditions play a critical role in the timing of sclerotinia ascospore release. But the specific weather conditions that trigger this ascospore release are still unknown. 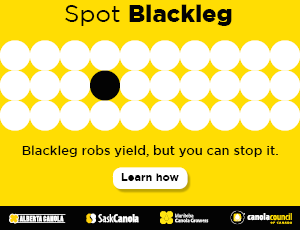 Paul Bullock with the University of Manitoba led a two-year study to assess the risk of sclerotinia stem rot disease on canola based on standard weather conditions and the canopy microclimate. He ran plot studies at two sites, Winnipeg, MB and Carman, MB, during the 2011 and 2012 growing seasons. At each site, he compared high, medium and low density canopy treatments using high, medium and low seeding and nitrogen fertilizer rates. Standard weather data was monitored during the growing season including air temperature, relative humidity, wind speed, solar radiation and precipitation. Bullock observed that ascospore levels jumped up at exactly the same time in both Carman and Winnipeg across the entire range of canopy density treatments at both locations. A broadly-based environmental factor is controlling the production of ascospores, but data from this study did not isolate the factors that lead to release of ascospores. Nor did the study data show a correlation between average daily temperature or relative humidity values and daily ascospore levels. The study showed very similar canopy air temperatures in the high, medium and low density plots, but the low density plots displayed significantly lower relative humidity. However, that variation in canopy relative humidity alone was not sufficient to create differences in ascospore levels. Increasing average wind speeds showed an increase in ascospore concentrations in most cases, but this effect was slight. Field history is a factor in overall disease incidence, but does not affect timing of ascospore release. Moisture is likely the key factor, but this study could not isolate this factor. Ascospore production was not increased where a misting system was used to maintain leaf wetness in comparison to non-misted canola. This may have been a result of the wet growing conditions when the misting system was in use. We still have a lot to learn about the complexities of sclerotinia stem rot infection. Sclerotia must overwinter, and then form apothecia, which have their own temperature and moisture requirements for growth and development. Mature apothecia may have a different set of environmental requirements for when they burst and release the ascospores. 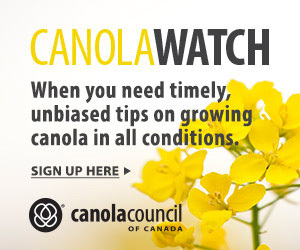 If ascospores do land on the canola petals, specific canopy conditions are required for the petals to stick to the stems in order for the disease to develop. Both rainfall and wind may be involved in this step. In order to understand the range of microclimatic and weather conditions required for infection to occur, controlled environment studies (instead of field studies) will be required to determine how temperature and moisture affect several key stages in the lifecycle of the disease. These can then be tested in the field.